Cobholm Recreation Ground01493 445692 work ParkCobholm Recreation Ground is located at the edge of an urban area. Surrounded by natural landscapes on the edge of the Norfolk Broads National Park/Breydon Water. 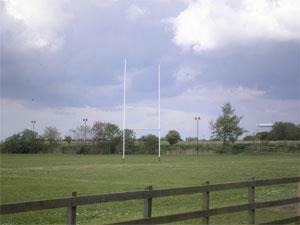 Home to Broadland Rugby Club, a pavilion and youth football training. Cobholm Recreation Ground is located at the edge of an urban area. Surrounded by natural landscapes on the edge of the Norfolk Broads National Park/Breydon Water. Home to Broadland Rugby Club, a pavilion and youth football training. Please contact Broadland Rugby Club for bookings on 01493 445692. Located on the A12 heading towarrds Great Yarmouth, just prior to the Breydon Bridge, at Broadland Rugby Club.